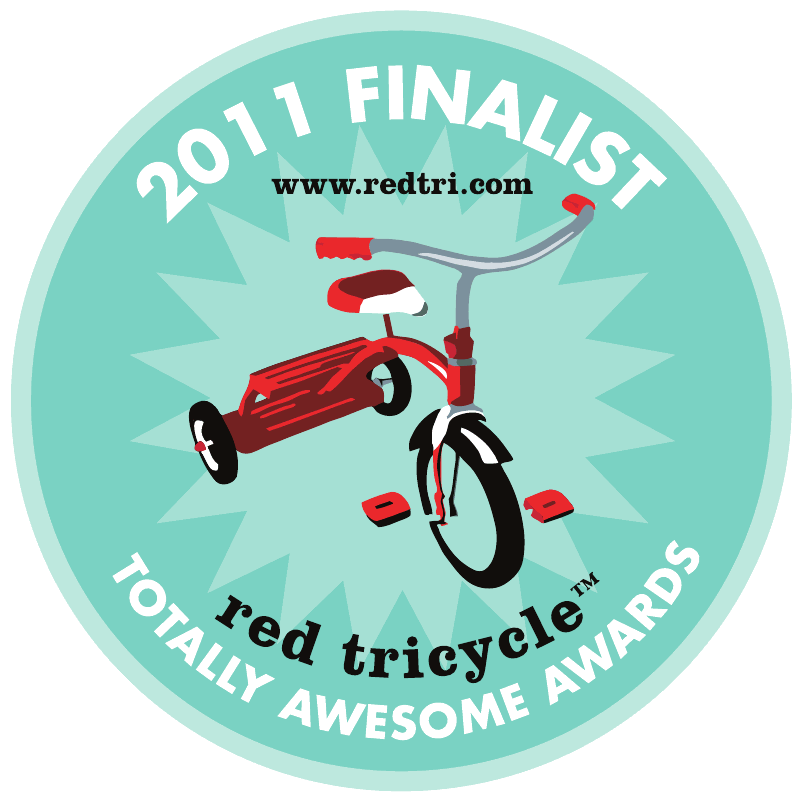 You are currently browsing the Green Halloween blog archives. Halloween is coming up FAST! Need a last minute costume? 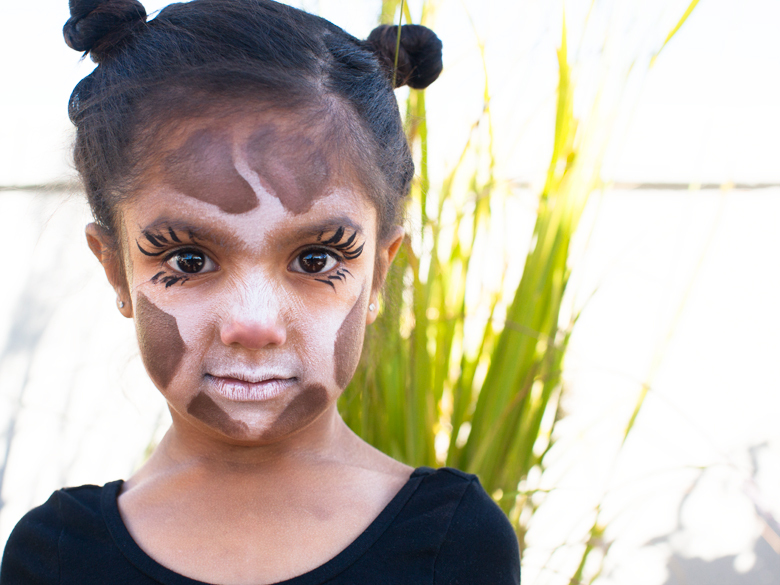 Here are a few animal makeup ideas for your little critter. These are not only really creative, but foster an appreciation of wildlife! They are also easily paired with some solid neutral colored shirts or sweaters. 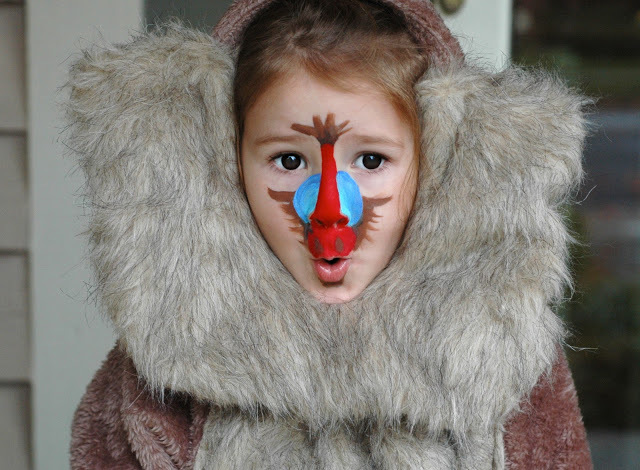 Make sure to use a brand of lead-free face paint, or make your own with our recipe. 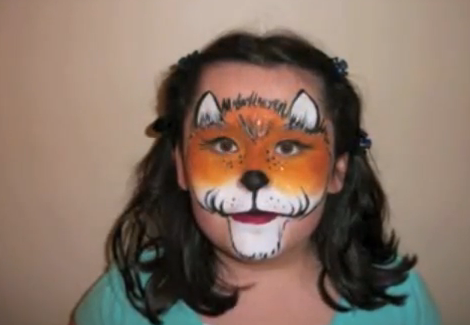 This face paint is great with a red fluffy outfit or a suit and tie à la Fantastic Mr. Fox? Here is the video from Marvelous Masks. 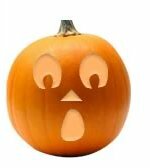 We at Green Halloween are dedicated to helping you have a healthy Halloween. That means candy free of GMOs and high-fructose corn syrup? 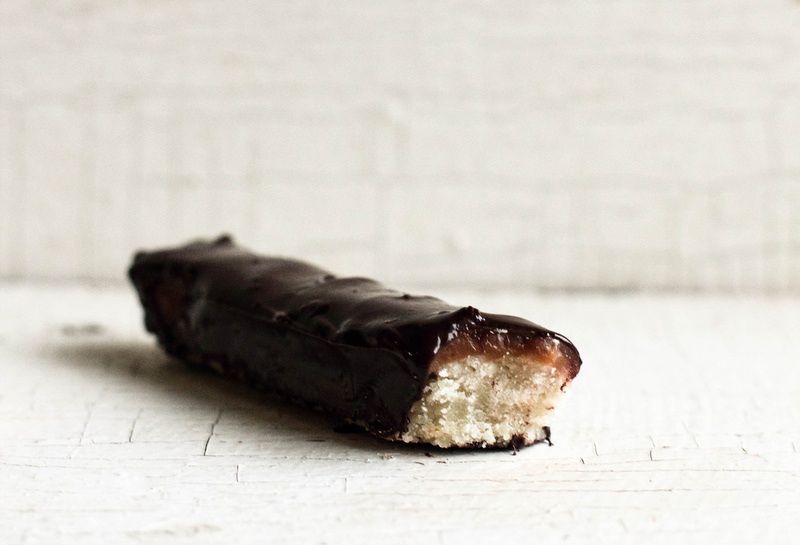 But we still want you to be able to indulge with your own homemade Twix bars! Preheat oven to 350 degrees F. Grease a 9 x 9-inch pan and set aside. In a large mixing bowl, beat together the butter, powdered sugar, vanilla, and salt until the mixture looks like a coarse sand. Press the dough evenly into the prepared pan and bake for 20 minutes, or until the surface of the shortbread looks completely dry. Cool in pan for 15 minutes. First, bake off your shortbread and let them cool. In a microwave-safe bowl, microwave the caramel candies until completely melted and smooth, about 1 to 1 1/2 minutes. Using an offset spatula, spread the caramel evenly over the shortbread layer. Allow to cool for 15 minutes to set. Transfer shortbread to a cutting board and cut into nine, 1-inch wide pieces. 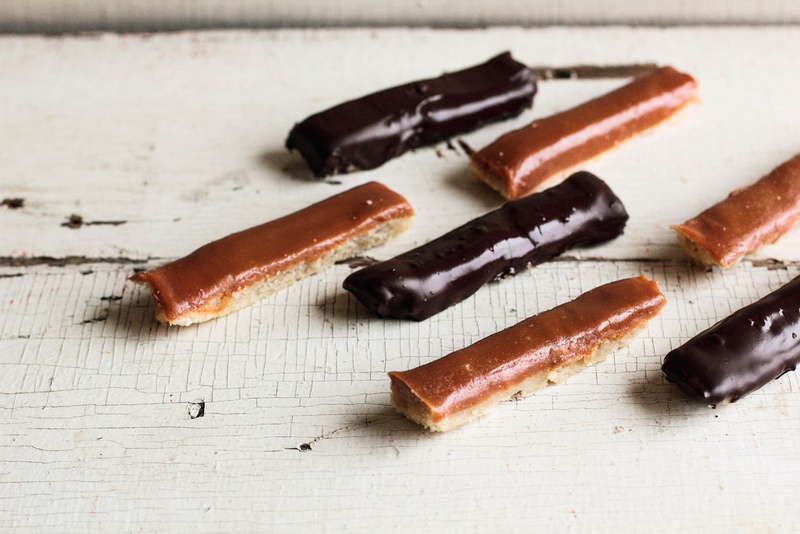 Then, cut each piece in half, creating eighteen 1-inch wide and 4 1/2-inch long candy bars. In another microwave-safe bowl, melt the chopped chocolate for 15 seconds at a time, stirring between each interval, until smooth. Dip each candy bar into the chocolate, remove any excess chocolate, and set on wax paper to set completely, about 1 hour. Store in an airtight container at room temperature. The candy bars keep for several days. Need something to add a creepy atmosphere to you home or front stoop on a starless night? Try making a DIY votive! Grab a scary stamp and some black ink. I chose a stamp of “The Screm,” but you could use spiders, bats, or whatever you have on hand. Stamp with the black ink several times onto tissue paper. I used white so that the color of the jar would change the appearance of my stamped images. Set these aside. Choose a nice used jar. Mine is a jelly jar. Those are usually decorative, and small. Swirl a dab of yellow paint around the inside along the bottom. Swirl some orange around the top, blending the two colors as you go. Experiment with different color combinations. Let dry. I used tempera paint. Acrylic would work too. Carefully cut out your stamped images. Using Mod Podge, or your favorite gel medium, carefully glue them to the side of your jar. There are endless ways to line them up. After you are finished gluing your pieces down, use additional Mod Podge to cover the paper with a thin layer. Let dry. Disguise the screw on edge of your jar with some decorative yarn, twine or ribbon. Place a small candle inside and enjoy! Try using beeswax candle. They are more environmentally friendly. Lead is a known carcinogen and a powerful neurotoxin that can affect nearly every organ in the body. Scientists generally agree that there is NO safe level of lead in children. And yet lead, regardless of the level, is found in makeup around the country. 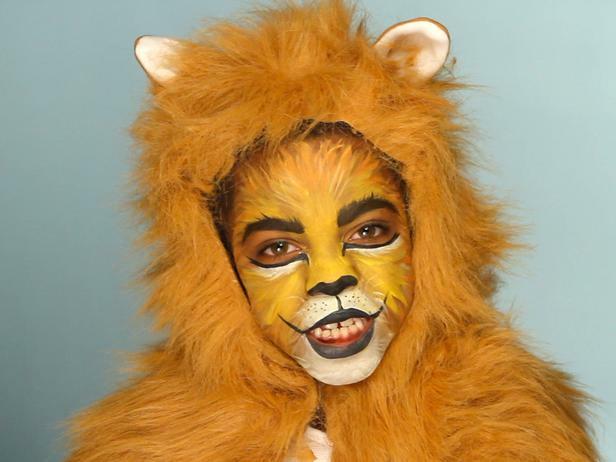 Even in makeup intended for kids. 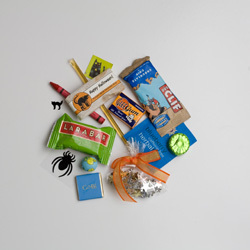 Halloween can be an opportunity for toxic mayhem OR it can be an opportunity to learn, educate and buy carefully. Lead poisoning, according to the CDC, is entirely preventable. Most people aren’t aware of the ways in which lead can make its way into our bodies. But, because of their rapid development, children age 1-6 are particularly vulnerable to lead exposure. While many parents may be aware of the primary sources of lead exposure (from household paint and dust) there are numerous other paths of exposure and makeup is a critical one. Since we absorb as much as 80 percent of what goes on our skin, the precautionary principal tells us it’s not smart to coat ourselves with things containing lead. And yet… that is often exactly what’s happening. A recent study found that 66 percent of the top brands of lipstick sold in the U.S. contain lead, not to mention other toxic metals like cadmium, aluminum, and nickel as well. Because of the fact that the cosmetics industry is not regulated by the FDA, there are no laws based on levels that are safe for makeup. (Although I’d advocate that there is NO safe level of lead in any makeup.) Furthermore, you won’t find these ingredients listed on the package, as the FDA doesn’t mandate disclosure on heavy metals, which makes it even trickier to find something safe. Lead in lipstick has been a known issue for years and the FDA continues to do periodic tests which only show more lead in lipstick (see FDA chart with names of brands listed) but still there’s no regulation. While the only way you’ll truly know if your makeup is free of toxins is to have it examined under the microscope, there are things you can do to be careful. You can’t trust labels of “non-toxic,” “safe,” or “hypo-allergenic” — and in fairness some companies may not even know if they have heavy metals in their makeup because it would mean they would have had to specifically test their raw ingredients, according to the Campaign for Safe Cosmetics. But many types of “mineral” makeup can be contaminated with heavy metals, as are often other makeup that is mixed with cheap ingredients. 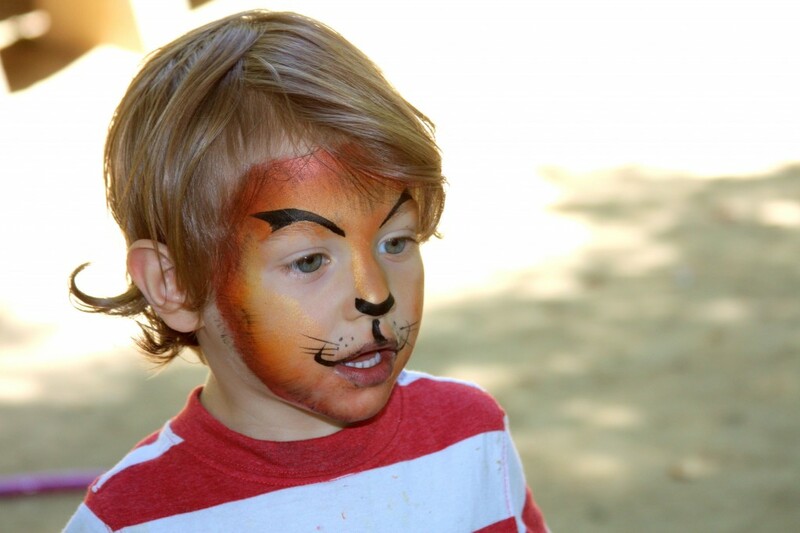 While perhaps the very safest way of making sure your child isn’t exposed to lead or other irritants and allergens this year is to avoid face paint altogether, you can also 1.) use make up that participates in the Campaign for Safe Cosmetics, 2.) look for how makeup rates on the EWG score, and 3.) is made by a producer you can trust, who is very consciously deciding what ingredients to use and where to source them. But lead dangers don’t stop at makeup. There are a lot of Halloween items that can be tainted with lead. Education is the best way to protect your kids from harm this Halloween and in the years to come.